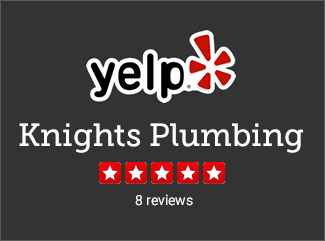 No one wants to have to call a plumber for an emergency at 3am, but if you have to, Knight’s Plumbing will be there to help. 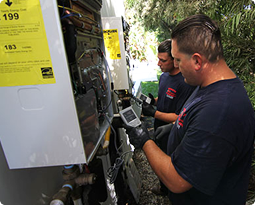 From water leaks, clogged drains and sewers to suddenly finding yourself with no hot water, Knight’s Plumbing of Orange County has the professionals and equipment to get you back in working order in no time. Our Flat Rate Pricing also means that you know exactly how much the job will cost up front so no surprises to make the situation any more difficult. No matter what your plumbing emergency may be, Knight’s Plumbing will respond in less than an hour in most cases and immediately diagnose and solve your plumbing emergency. Residential or commercial, our team of licensed professional plumbers is ready to handle any emergency 24 hours a day, 7 days a week. Why Choose Knight’s Plumbing for your Plumbing Emergency? Water leaks and burst pipes can cause extensive damage within walls or within the foundation slab of your home. Knight’s Plumbing’s state-of-the-art leak detection equipment will find the leak and allow it to be fixed and lessen the extent of any damage to your walls, ceiling or foundation. Clogged toilets, drains, and sewers can cause harmful backup into your home or onto your property. 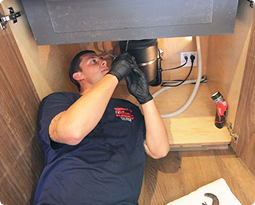 Knight’s Plumbing’s licensed professional plumbers have the tools to find the clog as well as the equipment to clear the clog and have your plumbing working properly again in no time. A leaky or malfunctioning water heater is unsafe and needs to be attended to as quickly as possible. This is especially true if it renders you with no heat in your home. 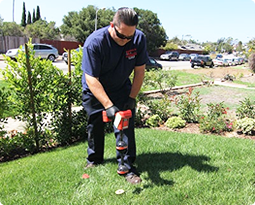 Knight’s Plumbing serves the entire Anaheim and surrounding area and can be there to fix the problem. No matter what time of the day or night it is, Knight’s Plumbing will be there to solve your problem and keep your family and home safe. A broken faucet or broken toilet can cause extensive damage due to water leakage. It is important to not only get the faucet or toilet working, but also make sure it is working properly with no leaks or other problems. Do not let a broken faucet or toilet ruin your day, or night, call Knight’s Plumbing anytime 24 hours a day, 7 days a week and we will be there to help. No matter where you are located in the Orange County area, Knight’s Plumbing can be there to solve your plumbing emergency. If you are in need of emergency plumbing services, please call us anytime 24 hours a day, 7 days a week at (714) 476-5290. We will solve your emergency and have you back in order in no time!